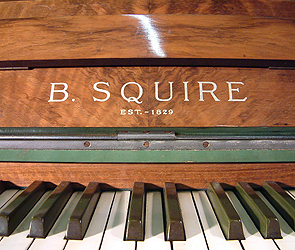 Squire Upright Piano with an art-deco style walnut case with painted detail. Art cased upright Piano for sale: We buy and sell new and secondhand steinway pianos. Specialist steinway piano dealer, trader and wholesaler. Grands and Uprights in stock for sale.Besbrode Pianos Leeds Yorkshire England UK. If you are interested in this Squire piano, give us a call on 0113 244 8344 and ask for Steven Leeming who will be happy to discuss your requirements. 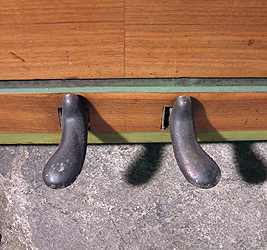 An art cased Squire upright piano with an art-deco style walnut case with painted detail.